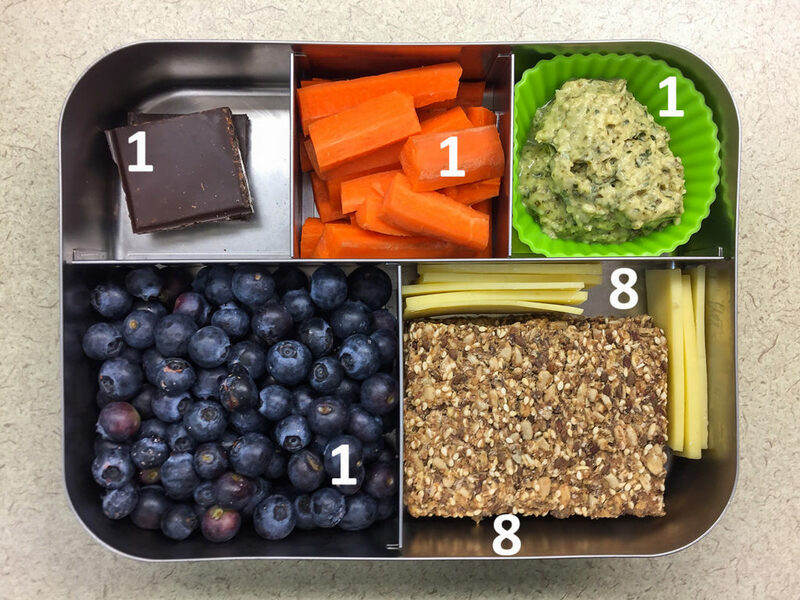 How Much Protein Is In My Lunch? Are you someone who enjoys looking at data? How about crunching numbers or tracking trends? I get an immense amount of joy out it myself, which is partly why I became a dietitian. Food science and nutrition is all about numbers and I enjoy the orderly, informative nature of it. 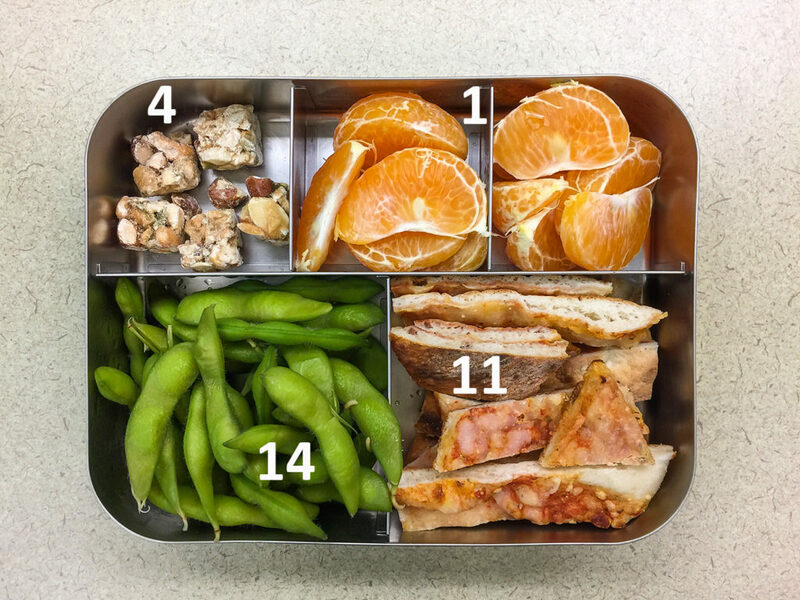 This might be why I was so excited to share my last post about the calories in my bento lunch boxes, and why I’m continuing the adventure this week, only with protein this time. If you’ve been a vegetarian for long, you know protein is a topic that gets a lot of attention. If you’re not a vegetarian you may have noticed that protein gets a lot of attention, at least lately. It appears to be the nutrient darling of the month (OK, maybe of the year) among the media, food companies, and consumers. Well, what did you notice? Fruit is low in protein. So are olives, cucumbers, carrots, and salad dressing. Nuts and seeds made a strong showing in the form of cashew clusters and crispbreads, and hummus in its various forms was responsible for a small contribution. 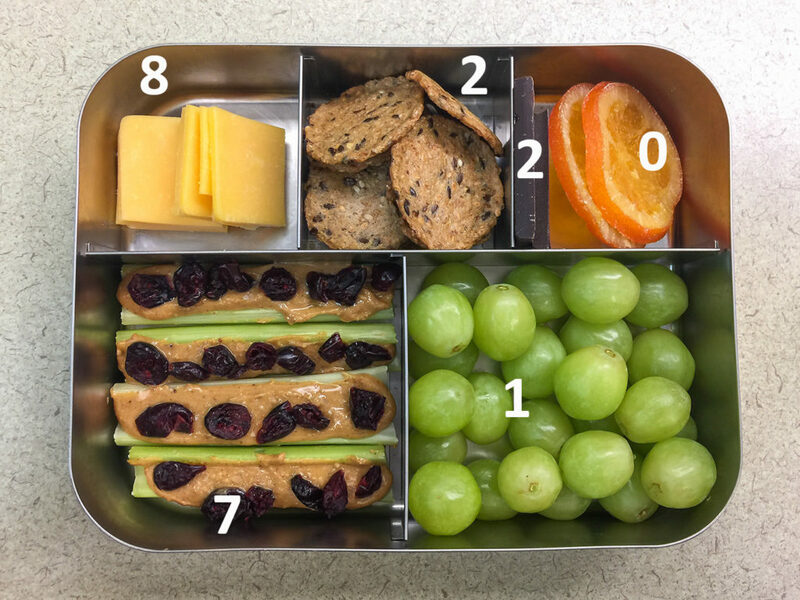 The real protein powerhouses in my lunches were soy foods (tofu and edamame), cheese, and peanut butter. 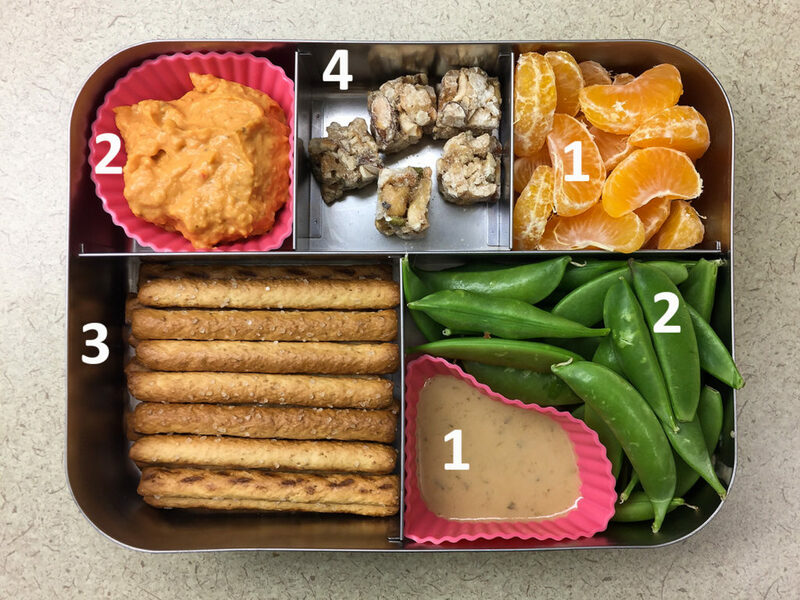 What’s missing in these photos is more types of beans, like pinto beans, chickpeas, or kidney beans which are more likely to show up when I bring dinner leftovers for my midday meal. I mean, come on: a cup of cooked lentils has 18 g of protein all by itself! Are you not impressed? 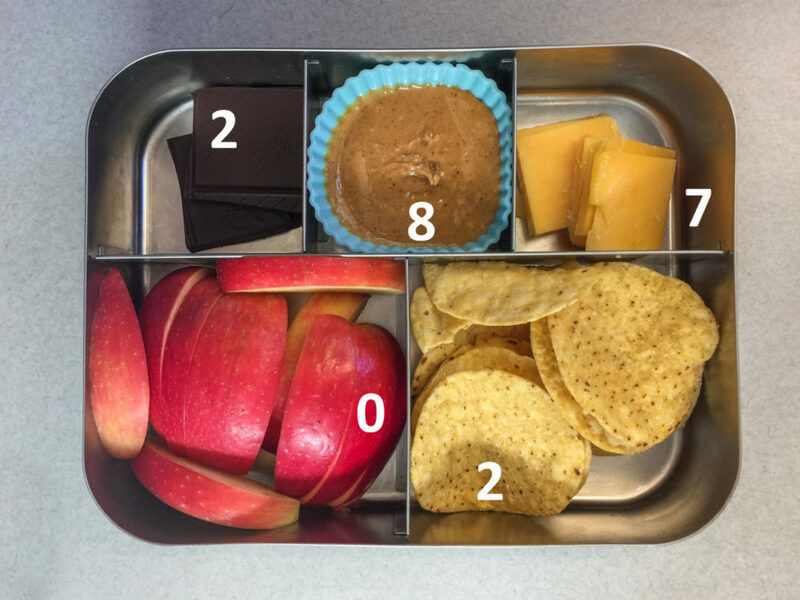 In case your detail-oriented mind is wondering about some of the numbers, I rounded values less than 0.5 g down to zero, and the cheese totals varied because the portions I carved off the brick each morning varied slightly. Over the week, my lunch protein intake ranged from 13 to 30 g with an average of 21 g. As a woman, with a goal of 46 g per day, getting about a third or a half of it at lunch makes perfect sense to me. 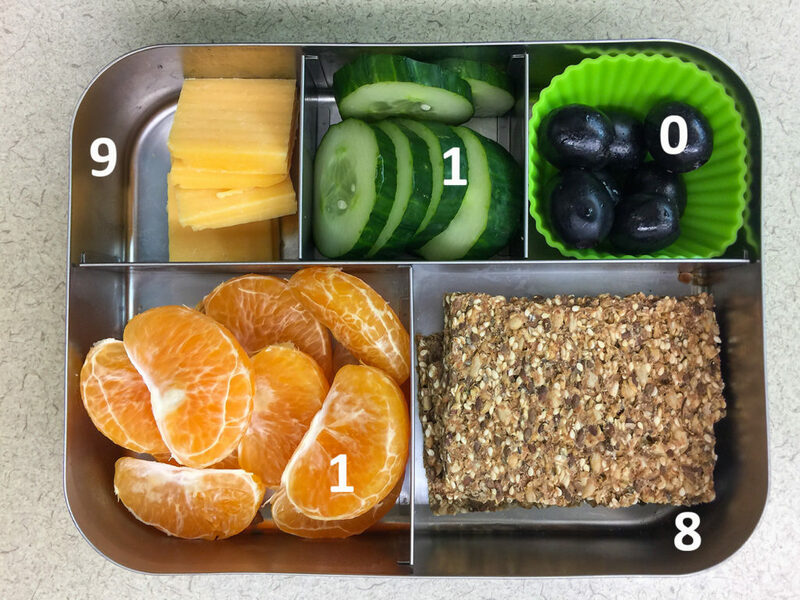 Overall, I bet my breakfasts are slightly lower and my dinners a touch higher, and snacks would contribute to the day’s total as well. 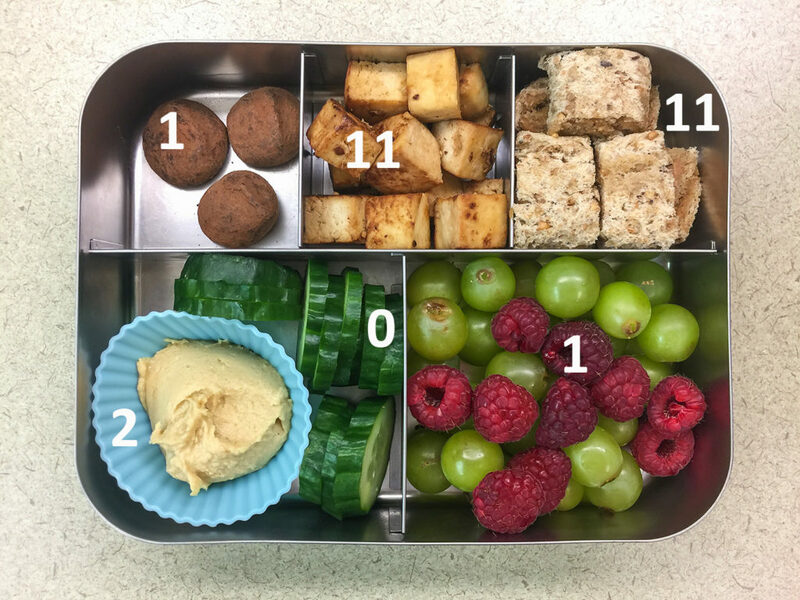 I don’t know about you, but I’m feeling quite satisfied after my systematic review of the nutrient content of my neat and tidy compartmentalized lunches, and also quite satisfied with the adequacy of my protein intake. 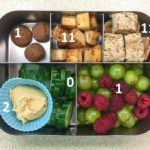 Nothing like a good analysis to make a dietitian’s heart happy, what with all the food and math colliding in one blog post. If you decide to search out this same kind of happiness by looking more closely at your lunches, I’d love to hear about it. What surprised you about these pictures? Or did they confirm something you already knew about protein foods? *The RDA, or Recommended Daily Allowance, suggests 46 g a day for women and 56 g a day for men. 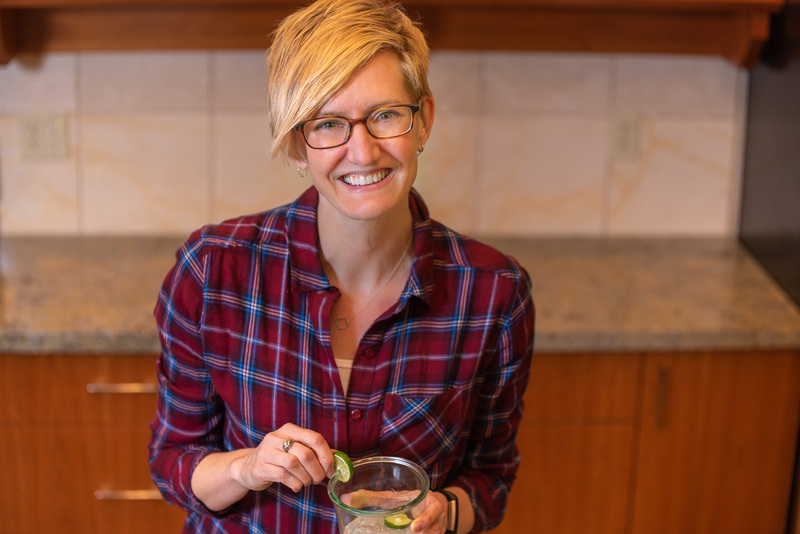 Some professional groups recommend a slightly higher intake for vegetarians because of differences in protein digestibility, however it’s mostly aimed at those folks choosing exclusively plant foods, like vegans. So, that would bump their targets to 58 g for women and 70 g for men. If you include cheese or eggs in your diet, the standard RDA is dandy. Yay, I’ve been looking forward to this post! Thanks for crunching the numbers, it was interesting to see that the crispbreads had such a strong showing. whats with the cheese, are you vegan or not? Hi Susan. No, I’m not a vegan, I’m a lacto-ovo vegetarian mostly except I’ve soy or almond milk instead of cow’s milk in the fridge.